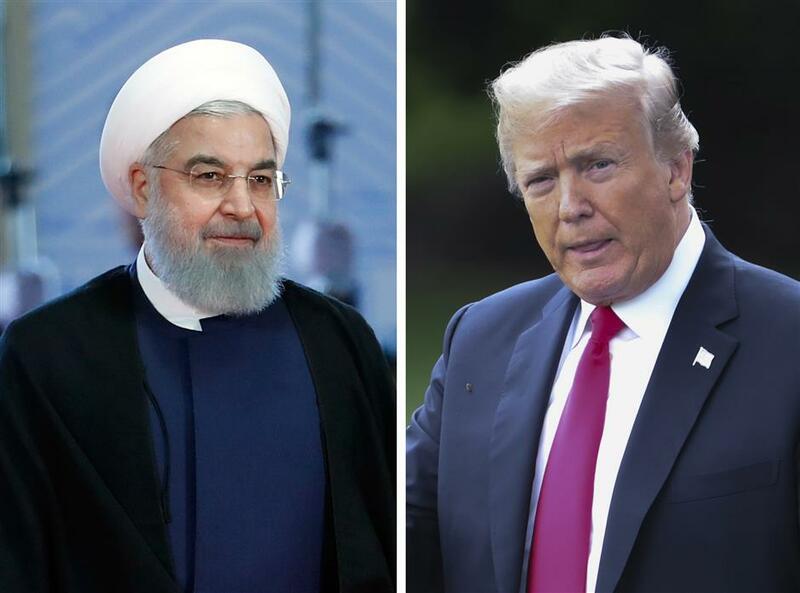 US President Donald Trump said here on Wednesday that it is possible for him to meet with his Iranian counterpart Hassan Rouhani later at the United Nations. A combo photo issued on August 7, 2018, shows Iranian President Hassan Rouhani (L) arriving for the Shanghai Cooperation Organization 2018 summit in Qingdao, China, on June 10, 2018, and US President Donald J. Trump (R) walking toward Marine One on the South Lawn of the White House in Washington, DC, US, on July 31, 2018. Speaking before a bilateral meeting with Kuwait's visiting Amir Sheikh Sabah Al-Ahmed Al-Jaber Al-Sabah, Trump said "anything is possible" regarding the meeting. "Whether they want to talk or not, that's up to them, not up to me," he said. "I will always be available ... we'll see what happens." Trump said on July 30 that he is ready to meet with Rouhani without preconditions. "I'd meet with anybody. I believe in meeting," Trump said. "They want to meet, I'll meet. Any time they want. Good for the country. Good for them. Good for us. And good for the world." However, the United States in August re-imposed sanctions on Iran that had been suspended under a landmark 2015 nuclear deal. Rouhani said in response that the Iranians would make the United States "regretful" for its renewal of sanctions. He also said that the US administration "is not trustworthy for any negotiations" after its withdrawal from the Iranian nuclear deal, since "negotiations with sanctions don't make sense." Iranian Supreme Leader Ayatollah Ali Khamenei also said lately that any negotiation with the United States to solve the existing problems is an "obvious mistake." US-Iranian relations have been at odds as the Trump administration left the historic Iran nuclear deal, delegitimized its government, vowed to reimpose sanctions on the nation and pressed other nations to cut down their purchase of Iranian oil to zero.